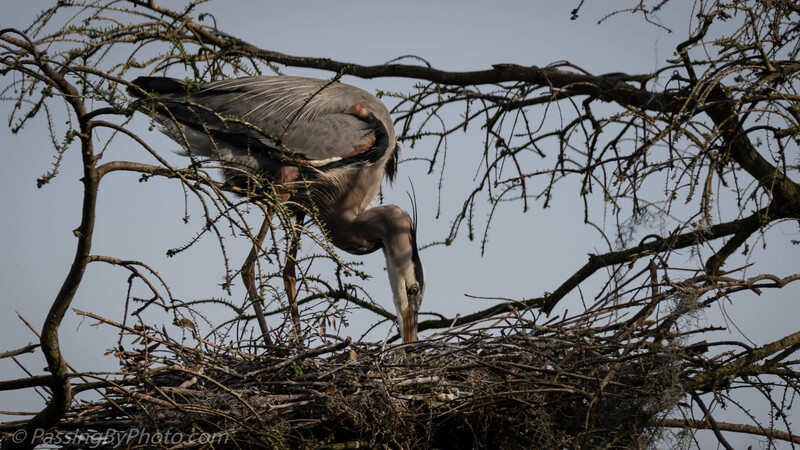 I watched this Great Blue Heron tend her nest over the course of a recent afternoon. These two images were taken about two hours apart, in the order shown. 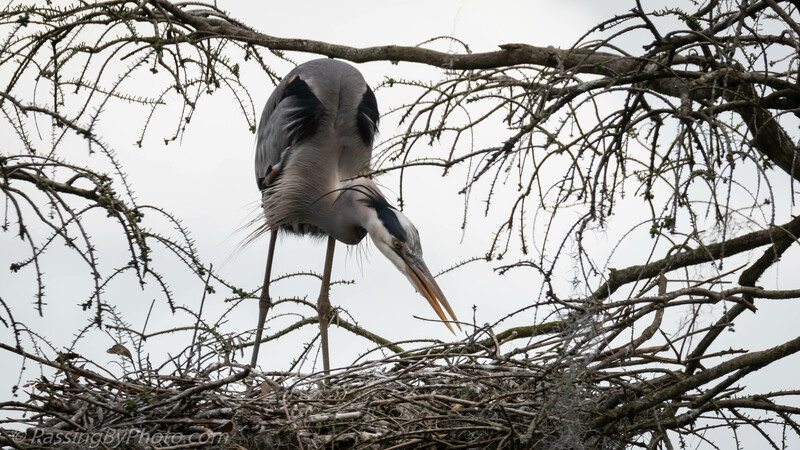 The heron had been laying on the nest in between, presumably on eggs, and periodically stretched and poked at the nest. The clouds dissipated as the afternoon wore on providing a nicer blue background for the later image. Lovely sharp photos. How interesting to capture their nesting activity. Thanks, Belinda. They are fun to watch and it is somewhat amazing that they manage to raise young with just that beak to make the nest then tend the chicks.